Electronics International Resolution Rebate | Avionics Blog – Avionics to the Max! Ready to cross off that New Year’s Resolution of updating your panel with the best engine monitors on the market? Or ready to update your current EGT gauge or fuel flow computer? This rebate is for you! 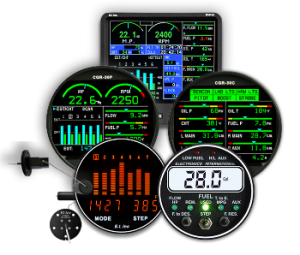 Save up to $2500 USD on engine monitors, EGT gauges or fuel flow computers. This is a limited time offer mail-in rebate starting January 18, 2019 until February 28, 2019. This entry was posted in Avionics News. Bookmark the permalink.